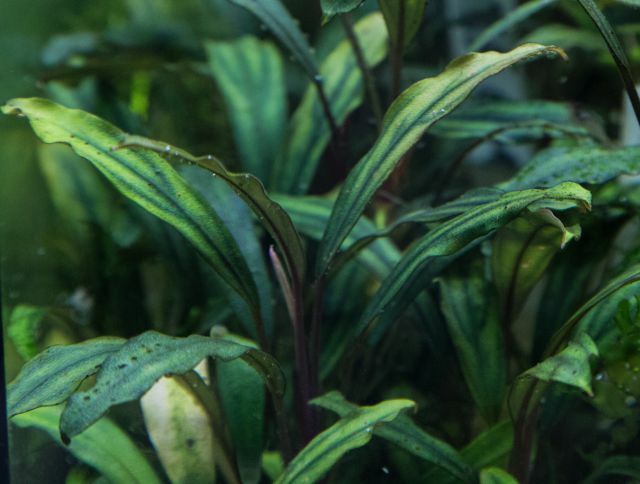 In the article "Fertilizing a planted aquarium" we have already presented the most important nutritional resources for the proper growth of aquatic plants, which are, in short, the factors light, carbon, micronutrients and macronutrients. 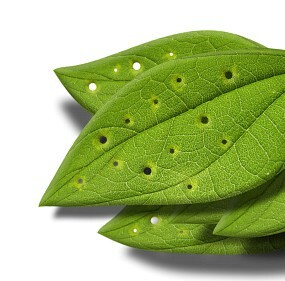 According to Liebig's Law of the Minimum, a complete nutritional coverage is essential for the plants to grow vitally. 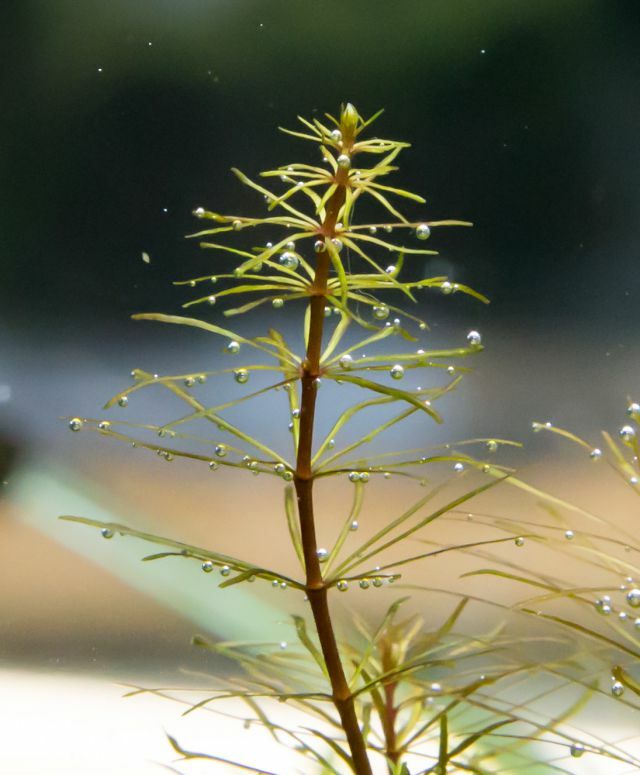 If the growth of the aquarium plants is stunted, or they even show signs of dying tissue, usually they suffer from a lack of nutrients or imbalances. Not uncommonly, these phenomena appear in combination with an increased growth of algae. 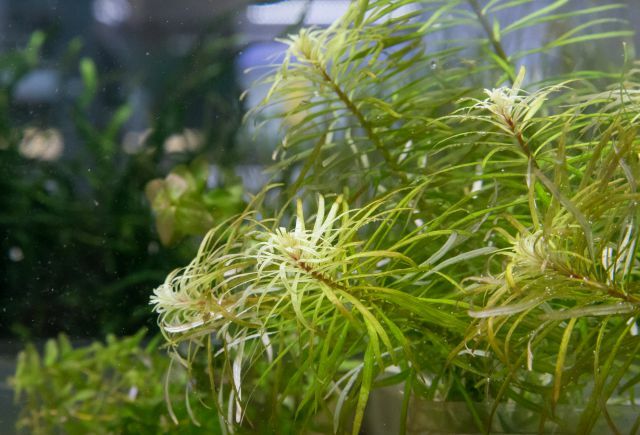 This article deals with deficiency symptoms in aquarium plants. In practice, these damage patterns sometimes cannot be clearly or easily assigned to a singular nutrient deficiency alone, since the symptoms may look very similar to one another, and different defects can look quite similar. Nonetheless, the following list should provide an overview for planted tank keepers, sorted by the importance of the individual nutrients. 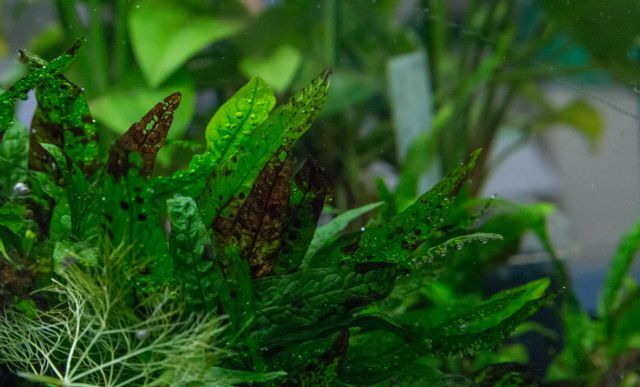 In the case of any deficiency in aquatic plants, you should first consider carbon dioxide intake before dealing with the other nutrient factors. Most of the damage patterns listed below, such as yellow leaves or crippled growth, can also be caused by a carbon deficiency. CO2 fertilization is essential for healthy plant growth. 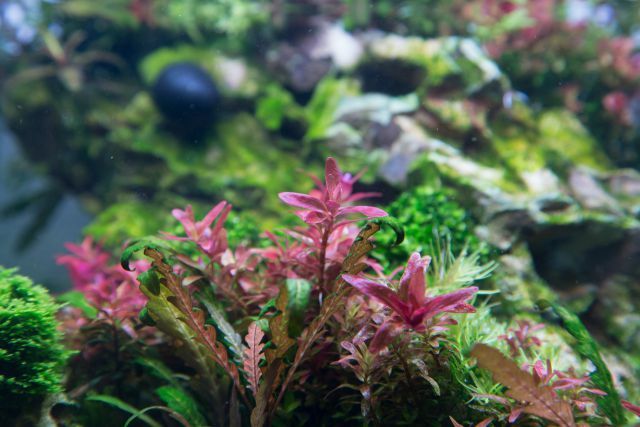 In a more densely planted aquarium, the CO2 content should be at a level of about 20 to 30 mg/l. This should be permanently monitored with a drop checker. It is important that you regularly change the indicator fluid to keep the test working correctly, every four to six weeks is recommended. Only if you can rule out a lack of CO2 should you address the other topics. Macronutrients are nutrients needed in larger quantities by the plants. Above all, they include the elements potassium, phosphorus and nitrogen, but also magnesium. In the following, we'll go into detail on the most important macronutrients and typical deficiency symptoms. Nitrogen (N) can be absorbed by aquatic plants in various forms: ammonium, urea, nitrate. For determining the nitrogen content of the water, we usually only have water tests capable of indicating nitrogen in the form of nitrate (NO3). Optimal concentrations are at around 10 to 25 mg/l NO3. Unfortunately, most common water tests for nitrate are not easily readable and may cause measuring errors. For indicating nitrate, we recommend a higher-quality test, which is easier to read, such as the nitrate test from Macherey & Nagel. One typical symptom of a nitrogen deficiency is an overall yellowing of the plant, especially in the older leaves. Increasingly smaller new leaves or crippled growth can be an indication of a nitrogen deficit, too. Some plant species assume a distinctly reddish hue. An increased occurrence of green filamentous algae, fuzz algae or hair algae is quite common when the aquarium is lacking in nitrogen. You can deliberately push the nitrogen content with liquid fertilizers such as Aqua Rebell Makro Spezial N or Advanced GH Boost N without notably influencing other nutritional parameters. In the case of a simultaneous potassium deficit, the aquarium fertilizer Aqua Rebell Makro Basic Nitrat is a good option. The concentration of this element in the water is commonly measured by taking the concentration of phosphate (PO4). This is done with a standard commercially available water test. The symptoms of a phosphorus (P) deficiency can easily be seen on fast-growing stem plants. Very slow growth and shoot tips decreasing in size are typical. Some aquatic plants may turn darker or even a violet color. 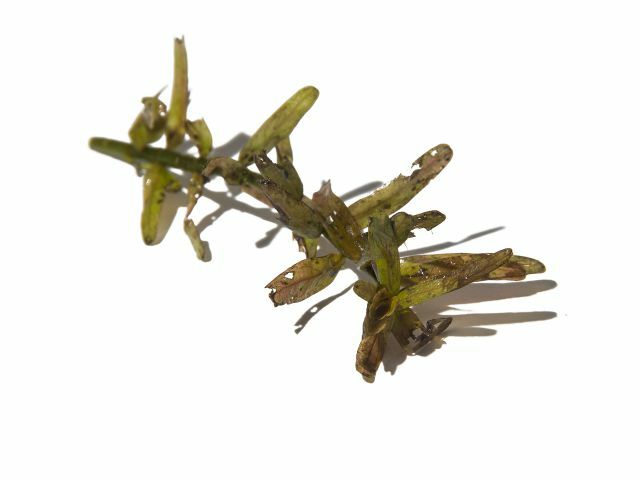 Frequently, a phosphorus deficiency can cause an increase in spot algae. In a planted aquarium, phosphate concentrations of about 0.1 to 1 mg/l of PO 4 are recommended. However, this substance needn't be permanently measurable and permanently maintained. Phosphate is quite reactive and can therefore interact with other nutrients such as iron. In addition, plants can store phosphate really well. Taking this into account, stock fertilization with a phosphate fertilizer like Aqua Rebell Makro Basic Phosphat once a week has proven to be sufficient in practice. Easy to see in direct comparison: Below we have a healthy Rotala, above a specimen with crippled growth, often sign of a lack of macronutrients such as phosphorus. 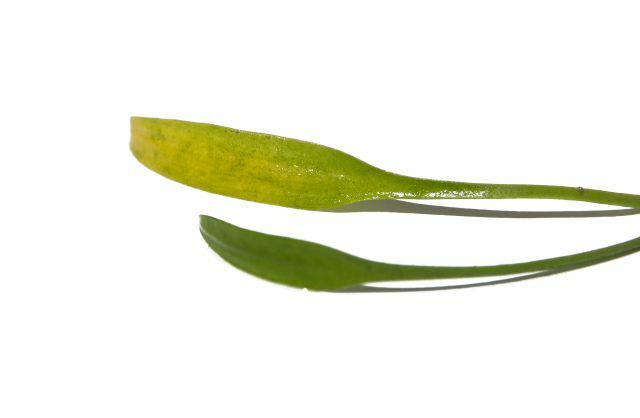 Typical for a lack of potassium (K) are perforated leaves or dying leaf tissue (necroses). In the beginning, these are only recognizable as small black dots, but then grow to visible holes, which are partially outlined in yellow or black. Similar to a nitrogen deficiency, in addition, the leaves may turn yellow and show reduced growth. Optimal potassium concentrations are around 5 to 10 mg/l. We highly recommend the Macherey-Nagel Visocolor ECO Kalium potassium water test. You can precisely push K with a potassium-only fertilizer like Aqua Rebell Makro Basic Kalium. If phosphorus and nitrogen are deficient as well, you should prefer a combined macronutrient fertilizer like Makro Basic NPK or Estimative Index. A Rotala with notable necroses (holes, black tissue). A cause of this might be a lack of potassium. Typical necroses on a Java fern. Magnesium (Mg) plays an important role in photosynthesis, because it forms important part of the plant’s green color pigment (chlorophyll). 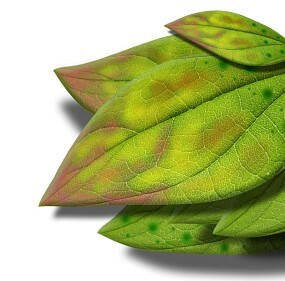 A deficiency is often shown by a pale or yellow discoloration of older leaves, whereas the leaf veins usually remain green. Magnesium is still a rather underrated nutrient in planted aquariums. If you want to get more involved with the topic, we recommend our Wiki article about the calcium-magnesium ratio. 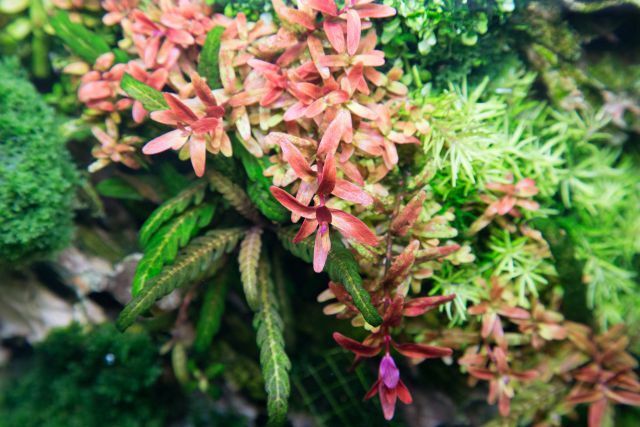 This Bucephalandra develops yellowish leaves, while the leaf veins remain green. This may be due to a lack of magnesium. Micronutrients are elements that the plants only need in small amounts (for the most part only as trace elements) for their growth. The most important of them is iron, but also other metals such as copper, boron or manganese. When you use a complete iron fertilizer, all micronutrients are usually covered. 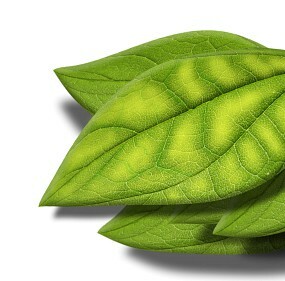 When iron (Fe) is deficient, plants will produce less chlorophyll in their new shoots. An iron deficiency is therefore easily identified in the shoot tips of fast-growing stem plants. 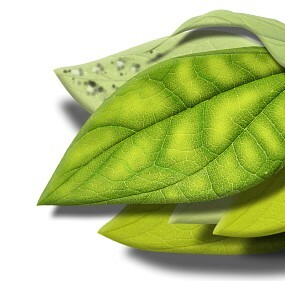 The rich leaf green fades, and the young plant parts assume a yellow to white color (chlorosis). This stem plant clearly shows lighter shoot tips, due to an iron deficiency. In the case of a serious iron deficiency, stunted growth and black, dying leaf tissue (necrosis) may also occur. The deficiency symptoms can be easily remedied by adding a little more complete iron fertilizer. Alternatively, you can target the iron content with a special fertilizer like Aqua Rebell Mikro Spezial Eisen. In literature, the ideal iron concentrations for planted tanks are given as 0.05 to 0.1 mg/l Fe, which can be determined with a water test. However, it is not absolutely necessary to permanently maintain a measurable iron concentration. Especially when you use mildly chelated complete fertilizers such as Aqua Rebell Mikro Spezial Flowgrow, iron can only be indicated right after fertilization. After a couple of hours, the nutrient might not even be detectable anymore since it is absorbed very quickly by the aquatic plants due to its easy availability. So long as no typical deficiency symptoms show, it is not necessary to increase fertilization with a complete iron fertilizer. On the contrary, over-fertilization may even promote the growth of red algae such as staghorn or beard algae. These can be removed quite easily by appropriate measures, though. 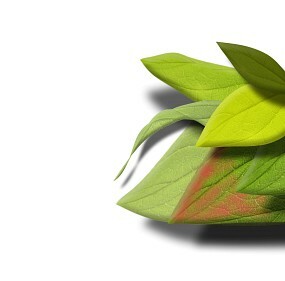 Very clearly visible in direct comparison: A houseplant leaf with chlorosis (left). A lack of magnesium or iron may be the reason here. As a rule, complete iron fertilizers don’t just cover the iron requirements of the aquatic plants, but also their needs of all other vital trace elements. In aquaristic practice, therefore, these other micronutrients and their deficiency symptoms are not given special attention. A lack of carbon, iron or macronutrients is much more likely and should therefore be addressed first. A lack of light is rare in a well-coordinated system. However, it still might be one of the causes for poor plant growth. However, a close look at the nutrients from points 1 to 3 should have a much higher priority. The lighting requirements of the plants should match the technical conditions of the aquarium, of course. One light deficiency symptom may be, for example, extremely slow growth. Many light-hungry plant species such as most of the stem plants, but also some ground covers, have a tendency to etiolate under weak light, i. e. the plant develops very long internodes. The distances between two stalk nodes are overly long as the plant tries to reach the surface to get more light. Stronger lighting ensures a more compact growth, but then it is also important to adjust the supply of carbon dioxide and the micro and macro elements. The light increase acts like a catalyst for plant growth and entails a higher nutrient consumption. If the stocks aren't replenished, this might cause an imbalance and result in increased algae growth. In some cases, however, the choice of location for a particular group of plants is not entirely optimal. Poor illumination of certain areas of the aquarium or excessive shading by other plants or by the decoration are common causes. An improvement of the location situation may be the way to go if only one plant group is affected. 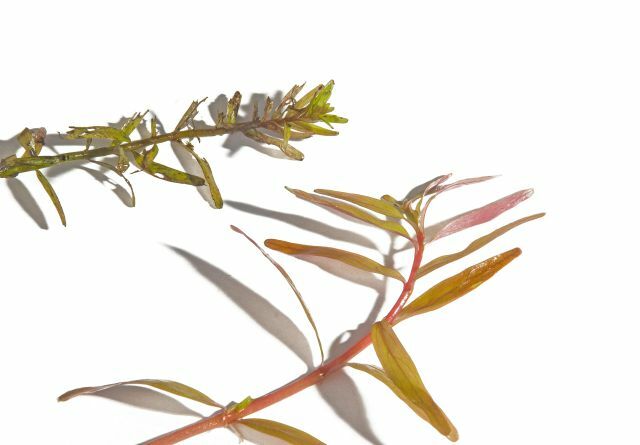 The same stalk of a Rotala viewed from different angles: From above, through the water surface (upper picture) and through the front pane (bottom picture). You can nicely see the change in the red color, which appears more magenta in the lower picture. The use of RGB lighting (here: Twinstar LED Light ) further enhances this effect. Both photos were taken under the same conditions (color temperature: 3650 Kelvin). When considering deficiency symptoms in aquatic plants you should be aware that certain optical factors may influence the result. 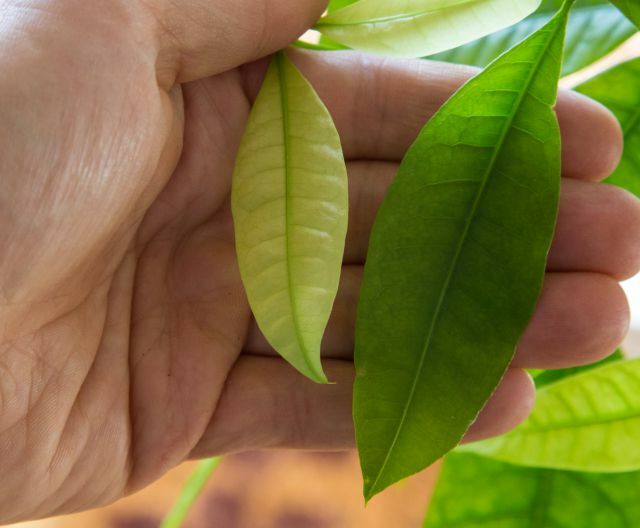 It may happen that you see deficiency symptoms in your plants even though there’s no reason. The color of the light source has an influence on how you perceive the colors of your aquatic plants, e. g. the leaf green. Light sources with a daylight spectrum of about 6500 Kelvin are neutral. Some pure white LEDs, on the other hand, make bright greens look very pale and whitish. This could be misinterpreted as chlorosis. In contrast, LED lamps with an increased RGB content enhance the red hues, which look much less spectacular under more neutral light. Another important factor is the angle of incidence at which a submerged plant is examined. Seen from above through the water surface, light green tones also tend to look much paler than the same plant through a side pane. A different point of view can suddenly give the impression of a chlorosis, which is actually not present or at least not very pronounced.